Come check out this masterfully designed floor plan which provides modern luxury living at its best! This home has a sleek, stylish kitchen and includes sprawling entertainment space throughout. A bonus kitchen downstairs, a walkout basement and home theater/family room were designed with such attention to detail that it makes this home a must see to be fully appreciated. The colossal 4-car garage includes a swamp cooler and propane heater and plenty of work space. 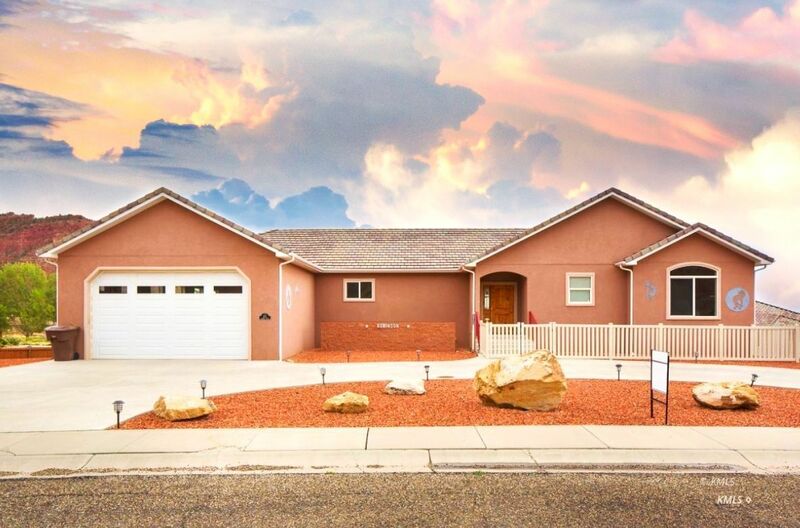 This impressive home, with low maintenance xeriscaping, is situated on a pristine lot with a panoramic view of the majestic beauty that surrounds it. This stunner won't last long so be sure to call to schedule a tour.